China embraces the “new normal” of slower growth, with some caveats. China’s National People’s Congress opened its annual session on Thursday and Premier Li Keqiang gave the annual government work report speech before the legislators. The speech provides the first official announcements of a number of benchmarks for 2015, including China’s GDP growth rate. The main takeaway was the announcement that China will, as expected, set its GDP growth target at “around 7 percent.” That’s a “soft” goal that means China’s leaders are willing to accept even slightly lower figures (China’s soft target for 2014, for example, was 7.5 percent growth, but the actual growth rate of 7.4 percent was deemed acceptable). Analysts believe China’s leaders would accept growth as low as 6.8 percent. The lower growth target, which would mean China’s lowest economic growth rate since 1990, is seen as an indication that China is embracing a “new normal” of slower and more sustainable growth. The new target “is both aligned with our goal of finishing the building a moderately prosperous society in all respects and is appropriate in terms of the need to grow and upgrade our economy,” Li said. However, if Li’s remarks are any indication, China won’t be too keen on growth slipping too much below this – in 2015 or beyond. Li mentioned that 7 percent growth “for a relatively long time” would allow China to “secure a more material foundation for modernization.” Xinhua also cited Lu Feng, a professor at Peking University’s National School of Development, as saying that the Chinese economy could maintain 7 percent growth – apparently the new benchmark for “medium-high growth” – for the next 20 years. Though it’s moved away from the boom years of double-digit growth, Beijing continues to believe that relatively high economic growth is necessary to meet its development goals. A “new normal” of 6 percent growth or even lower seems out of the question. China is also moving to implement further economic reforms, with 2015 having already been pegged as a crucial year for progress on the reform goals laid out in 2012 by the 18th National Party Congress. Economically, that means slower and more balanced growth. It will also mean new openness to global markets, China’s leaders have promised. China’s top leaders also renewed their commitment to free trade zones. “China should aim for high-standard trade and investment rules, and strengthen its capability for allocating financial resources around the world and better serving the country’s economic development,” Xinhua paraphrased Xi Jinping as saying on Thursday. Xi sees FTZs (and the new commitments that accompany them) as a way of jump-starting the necessary economic reforms within China. 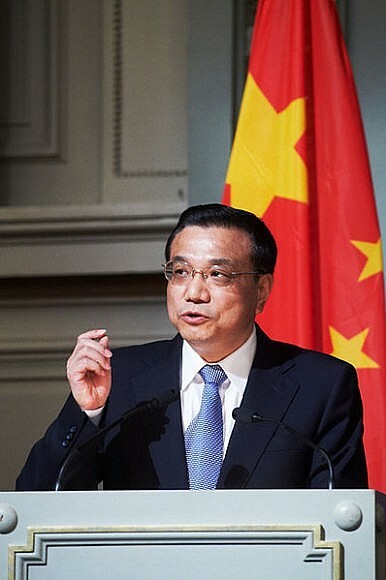 In particular, Li Keqiang promised progress on FTZ talks with ASEAN, the Gulf Cooperation Council, and Israel, as well as investment treaty negotiations with the United States and European Union. Li described such free trade arrangements as an important part of China’s Silk Road initiatives, and said China would particularly prioritize deals along the planned routes.